← Maple Syrup – It’s Not Just for Pancakes Anymore! Gardeners at this time of year begin to lament the waning daylight hours and cooler temperatures, casting a wary eye on their tomato plants, which are loaded with luscious tomatoes…. green tomatoes. As the days grow shorter, these tomatoes won’t ever take on the early pink tinges that signal ripening. No, these tomatoes will remain green and hard. Very hard. Enter a recipe for “Green Tomato Pie”. I have several, from a variety of cookbooks, but went with one I had used previously, from Southern Living’s “The Pies and Pastries Cookbook”, published in 1972. The pastry recipe I used was from “Farm Journal’s Complete Pie Cookbook”, published in 1965. Combine the sugar and flour in a bowl and stir in the remaining ingredients (except the butter and pastry). Place in pastry lined pie pan and dot with butter. Add the top crust and cut slits in the center. Bake at 450 degrees for 10 minutes. Reduce temperature to 350 degrees and bake for 30 to 40 minutes longer. Combine flour and salt in a mixing bowl. Cut in shortening with a pastry blender or with two knives until mixture is the consistency of coarse cornmeal or tiny peas. Sprinkle on the cold water, 1 tablespoon at a time, tossing mixture lightly and stirring with a fork. Add water each time to the driest part of the mixture. The dough should be just moist enough to hold together when pressed gently with a fork and should not be sticky. Shape dough into a smooth ball and roll (if not ready to make the pie yet, refrigerate the dough in waxed paper). Makes enough for a two-crust 8 or 9 inch pie. 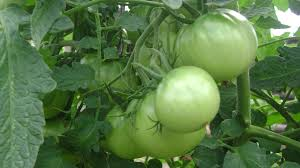 I should point out that while green tomatoes may never have a chance to “mature” like their red counterparts, they are also popular as “fried green tomatoes”. In fact, they made a movie around green tomatoes (“Fried Green Tomatoes”). 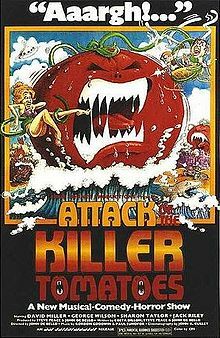 Come to think of it, they made a movie around red tomatoes too, the infamous shlocky “Attack of the Killer Tomatoes”. But in the latter, the red tomatoes are the bad guys. 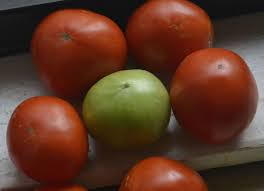 Did you ever see a green tomato go bad in “Attack of the Killer Tomatoes”? I think not. This entry was posted in Cookbooks, Cooking, Eating, Food Trends, Recipes, Uncategorized, Vintage Cookbooks and tagged Attack of the Killer Tomatoes, cookbooks, Cooking, Dr. Suess, Green Eggs and Ham, Green Tomato Pie, Green Tomatoes, Sue Jimenez, Vintage Cookbooks. Bookmark the permalink. 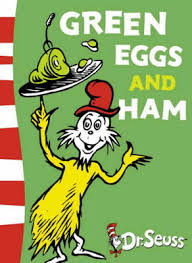 2 Responses to Green Eggs and Ham? No – Green Tomato Pie! I agree…so stroll on out to that garden and start picking those green tomatoes for pie! Thanks for your comment. I haven’t had a green tomato pie since I was young. Pat and the Wild Cats, that would be about 1959. That makes me want to do the Stroll..